The Indian currency, which closed at a historic low of Rs 73.03 against the US dollar on October 3, 2018, has been under pressure for the last two months. Compared to the same period last year, the value of the rupee has depreciated by around 10 percent. As a result of this change in exchange rates, Non-Resident Indians (NRIs) stand to gain by investing in the Indian real estate markets. The gain may be explained through the following example: An NRI with an investment of $ 1 million in October 2017 would have bought real estate space worth Rs 6.5 crore while today he can buy the same space by investing $ 0.89 million assuming that domestic price of real estate space has remained stagnant over the last 12 months. Hence, real estate purchase for an NRI is cheaper today vis-a-vis a year back. An addition to the exchange rate benefit, currently the NRIs can get a lot of good options from developers. 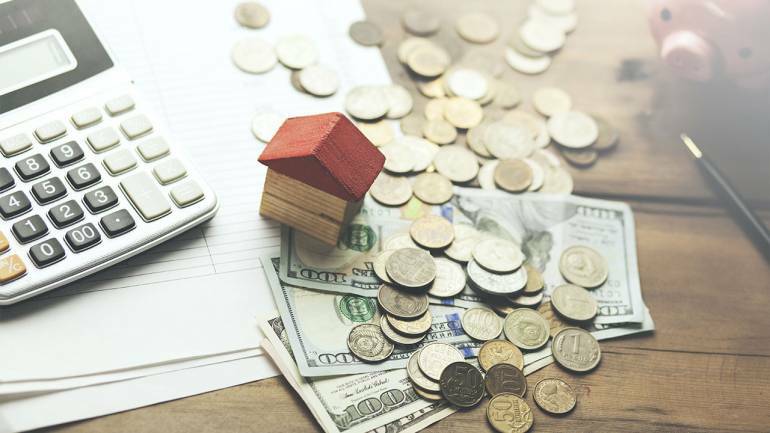 It is well known in the markets that to bring back sales volume, developers are offering a slew of incentives like waiver on stamp duty, GST and floor rise. NRIs may also get benefit in price negotiation due to their quantum of investments. The next pertinent question is how long the rupee is going to remain at this level, given that the Government and the Central Bank are trying to arrest the fall in its value? As per the RBI Professional Forecaster’s Survey (August, 2018), it is expected that rupee will strengthen to Rs 67.7 as against the dollar by the first quarter of 2019-20. Hence, the investment of today is going to have a notional gain in the range of 7-8 percent further down six months’ period for NRIs. The weakening of the rupee is not the only reason for NRIs to invest in India. India’s attractiveness as an investment destination has significantly improved over the last few years. The Indian economy grew by an impressive 8.2 percent in first quarter of 2018-19. As per the RBI Professional Forecaster’s Survey (August, 2018), the GDP is projected to grow by 7.4 percent in 2018-19 and 7.6 percent in 2019-20, making it one of the fastest growing economies globally. Investor confidence in Indian real estate is improving on account of policy reforms like RERA and GST leading the way towards a transparent environment. This is evident in the flow of institutional investments which have increased by 3 times during 2014-17 ($ 20.1 billion) as compared to 2010-13 ($ 6.7 billion). This speaks volumes about growing investor confidence which ultimately is likely to drive the growth of Indian real estate sector. The residential sector was reeling under the pressure of subdued demand and supply volumes over the last 4-5 years. However, the first half of 2018 has shown signs of revival both in sales and new launches. Residential sales recorded 25 percent rise in sales with 64,000 units sold in the first half of 2018 while new launches had a significant comeback. If this trend continues in the residential sector, it will augur well for the investor at large. The commercial office market has been growing from strength to strength during the last 3 years with an average annual net absorption of around 33 million sq ft. The sector has been witnessing significant structural changes particularly because of the adoption of technology. This is likely to bring a paradigm shift in the way the office space operates. With Real Estate Investment Trust (REITs) becoming a reality in near future, the sector is going to witness perceptible upside in the future.